Why was Esau’s angel assigned to the Roman Empire? Which type are the angels for the nations? The subject of angelology is beyond the scope of the content of our Ask Noah website, but here is a very brief reply. There are also spiritual beings on a lower level which exist within the boundaries of space and time as we know them. The Sarim (singular Sar) angels, which are the “patron” or “guardian” angels of the seventy nations (such as the Biblical nation of Egypt), belong to this category. How did the Sages know the names of particular angels? There have been special individuals in history who reached the level of perfect righteousness (to the extent that it is possible for a human to be perfect). 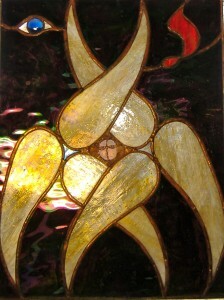 When a person reaches a certain high level of spiritual perfection, he or she is rewarded by G-d with a spirit of prophecy, so that his or her awareness is no longer limited to the physical world, but the heavenly realms and/or the heavenly beings are also revealed, which may be with open sight, prophet vision or intellectual insight. Examples are the righteous heroes and heroines of the Torah, the Hebrew Prophets, and select Sages over the course of history. There were also Gentiles who reached this level. For example we see in Genesis that when Hagar was sent away, she was met by several angels. (Gen. 16:7-13) Why was she not afraid? Because she was used to seeing angels in the home of Abraham and Sarah. There are many many other examples of prophets who personally encountered angels (Isaac, Jacob, Moses, Aaron, Joshua, Jeremiah, Isaiah, Ezekiel, etc.) 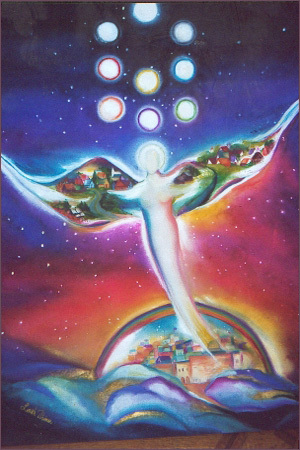 So ultimately, the knowledge which the Sages had of angelology was based on the personal prophetic experiences and insights of special individuals. What does the name of the location P’niel mean, where Jacob wrestled with the angel of Esau? This name, which Jacob gave to the place where he struggled with the angel of Esau until the break of dawn, appears in slightly different form in the verses Genesis 32:31 and 32:32. In the original Hebrew, it is spelled and pronounced slightly differently in the two verses. In the first verse, the word is P’niel, which means “my face [is toward] G-d,” in which Jacob was referring to himself. In the second verse, the word is P’nuel which means “turn to G-d” [i.e., in repentance], which was Jacob’s message to future generations. Esau was unrefined but had potential to be refined. Did his angel have two natures? How did the countries of Edom get so much power, and do the angels of other nations accept this? When G-d elevates a nation to be the greatest power in this physical world, it is accomplished through His elevation of the “guardian angel” of that nation, above all the other angels of the nations. The other guardian angels have no choice or say in this, since it is decreed by G-d. In the approximately 3500 years since the family of Jacob entered Egypt (Genesis, chapter 46), G-d has decreed several periods of exile upon the Jewish people, in which they were dominated by another nation. In each past case, after a predetermined time G-d released them from the exile they were in (see the Book of Daniel, 8:20-24). The Jews will be released from this final exile (Edom) when the Messiah is revealed in the very near future. Why don’t angels have a free will? How can there be so-called evil angels if their mission is from G-d? What does the angel or spirit of Amalek represent? The first Chassidic discourse by the Previous Lubavitcher Rebbe (after the passing of his father the 5th Rebbe in 1920 in Rostov, during the Russian Revolution) was on the verse “Amalek is the first among the nations, and in the end he shall be destroyed” [the prophecy of Bilaam in Numbers 24:20]. The Rebbe explained that Amelek is the spiritual source and root of the spiritual evil of the Seven evil nations – the Canaanites, Hittites, Amorites, Perizzites, Girgshites, Jebusites and Rephaim [Gen. 15:20-21]. But Amalek itself, the toughest of all evil forces, is separate from those seven, because it contains no element of good that can be salvaged by means of the divine service of humans. The “rectification” of the evil of Amalek is its utter eradication and destruction. However, G-d “has set a limit to darkness” [Job 28:3]. The time allotted for this evil is set, and when it expires, the evil is is utterly destroyed and annihilated, leaving no trace, because it does not possess any intrinsic form of true existence; it is a non-entity, even though it is extremely tenacious. Only with the help of Torah and faith in G-d can a person recognize this force which resides within himself as evil, and take the necessary steps to dispel it from his mind and heart. This is difficult, because it includes the force of conceit that causes him to believe that his own intellectual innovations are correct, and/or that the way of Torah is wrong, G-d forbid. Amalek is the supreme force of evil, above all the other evil forces. One of the first and most important tasks that the Messiah will accomplish once he is revealed to the world (speedily and in our days!) will be to destroy the spiritual force of Amalek. This will automatically remove the strength from all the other evil forces, so that the Messianic Era can begin. Question: Who are the “sons of G-d” in the verse Job 1:6? In this context, the “sons of G-d” means angels. Rashi explains that this verse is describing a Heavenly event that took place on the New Year’s Day in the Hebrew calendar, Rosh Hashanah. Rosh Hashanah is G-d’s appointed day of universal judgment for the entire year, on which all the creations in all the worlds are judged by G-d. It is the anniversary of the day that Adam and Hava (Eve) were created. When a person observes one of his Divine commandments or does a good deed in general, this is brought up before G-d’s Heavenly court in the person’s defense on Rosh Hashanah, in the merit of the good that was done. When a person violates one of his Divine commandments or does something bad in general and has not yet repented to G-d, this is brought up for the person’s prosecution on Rosh Hashanah, accusing the person for the bad that was done. The leader of the angels that accuse people for their sins is the angel Sotahn (“Satan”). Furthermore, even the angels in the Heavenly worlds and the animals, birds, etc. in this world are judged by G-d for their degree of culpability. This sounds mysterious to us, because those creations do not have free will as we understand it. However, it is understood somewhat by the fact that only G-d is perfect, and in some way even those creations that lack free will are also judged with regard to their imperfections. Did the angels in Gen. 6:2 sin by taking beautiful women?